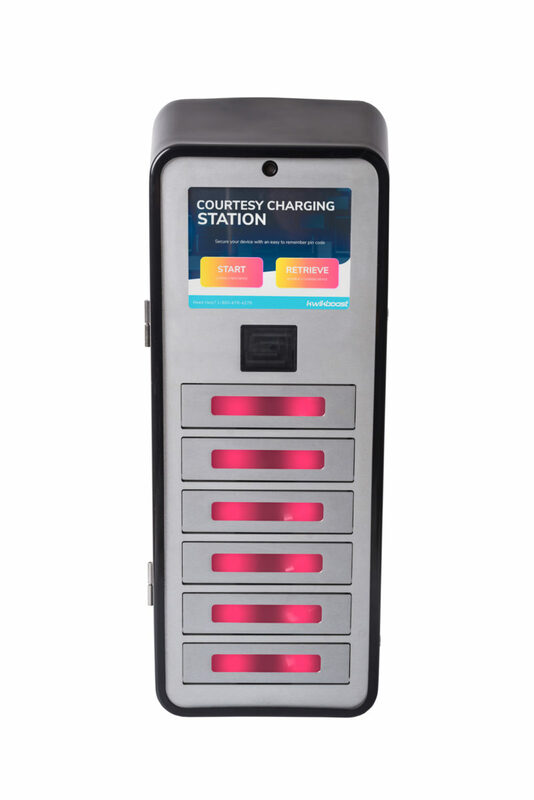 The Brightbox Smart Charging Locker by KwikBoost is the most advanced charging locker on the market today. 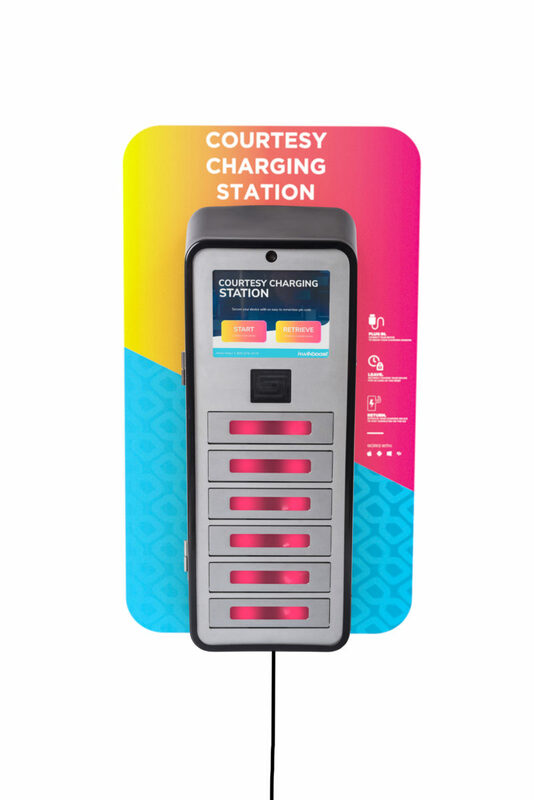 The phone charging solution features an interactive touchscreen display and digital advertising capabilities for branded content and user surveys. A web-based portal provides access for content control, usage reporting, fleet management, real-time updates with networked communications and remote technical support. The locker can accommodate a complimentary or paid amenity model with encrypted payment processing. Available in wall-mounted, floor stand or tabletop versions. 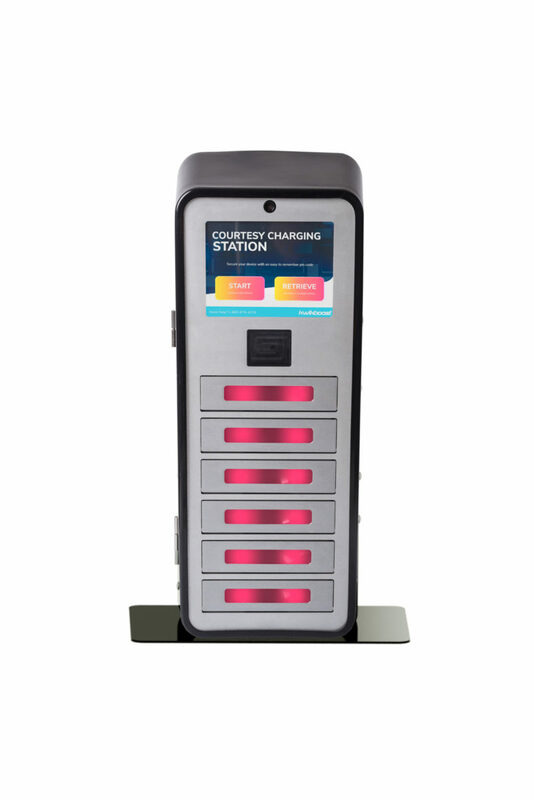 Want to learn more about our charging solutions? 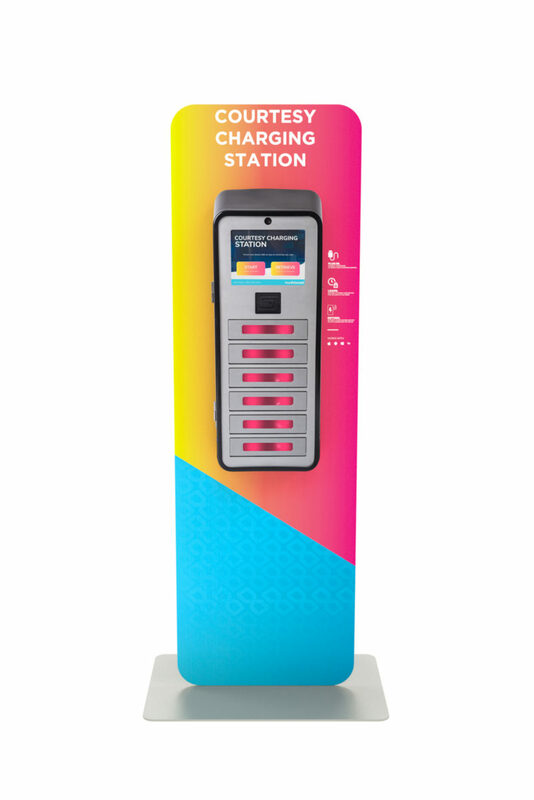 A Wall Sign helps direct people to your charging station and can be used with any KwikBoost product.